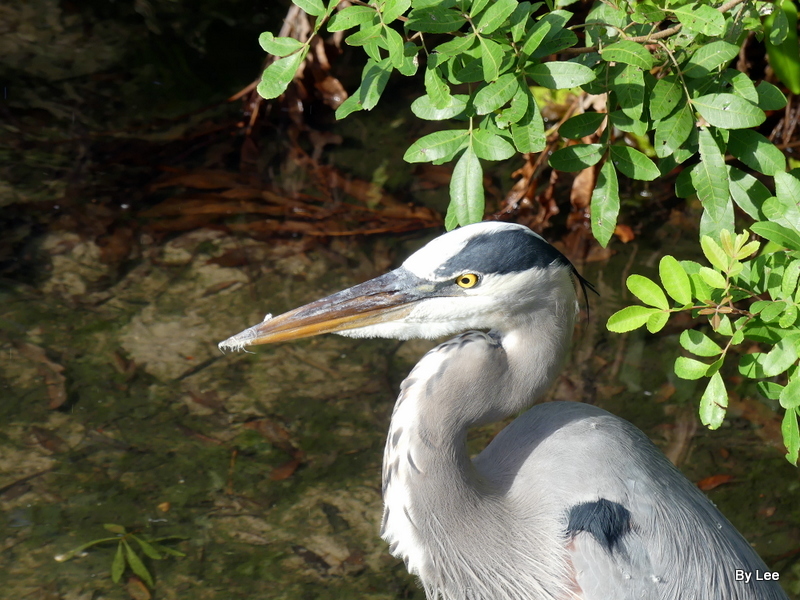 We finally had a chance to take a short birdwatching adventure to Lake Morton over in Lakeland. I have been battling a cold and cough for the last three weeks. 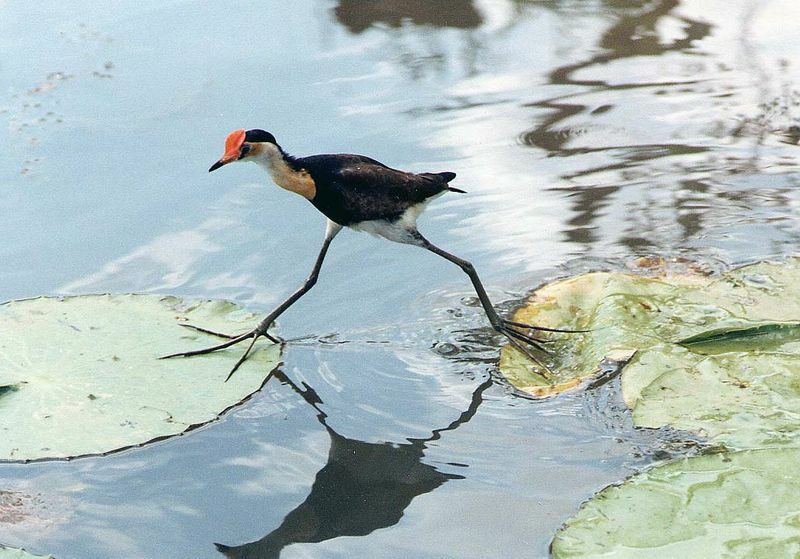 Our trips to Lake Morton don’t require much walking and it is one of the few places that people feed the birds. When someone parks their car, before they can get across the street, the birds start walking towards them. Needless to say, the birds are expecting something. 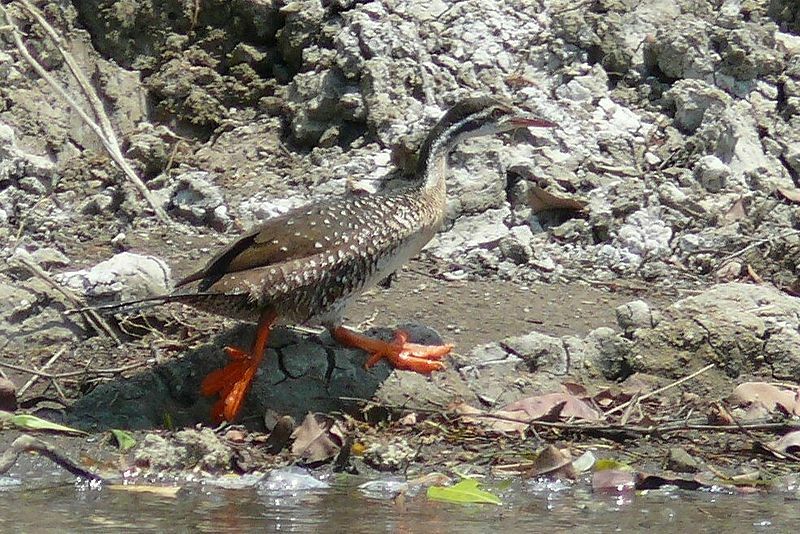 As I was walking across the street, here they came; Wood Stork in the lead because of its long legs, White Ibises next, followed by the waddling shorter legged birds – Mute Swans, Mallards, Muscovy Duck and then the fly-ins – Boat-tailed Grackles and the Gulls. 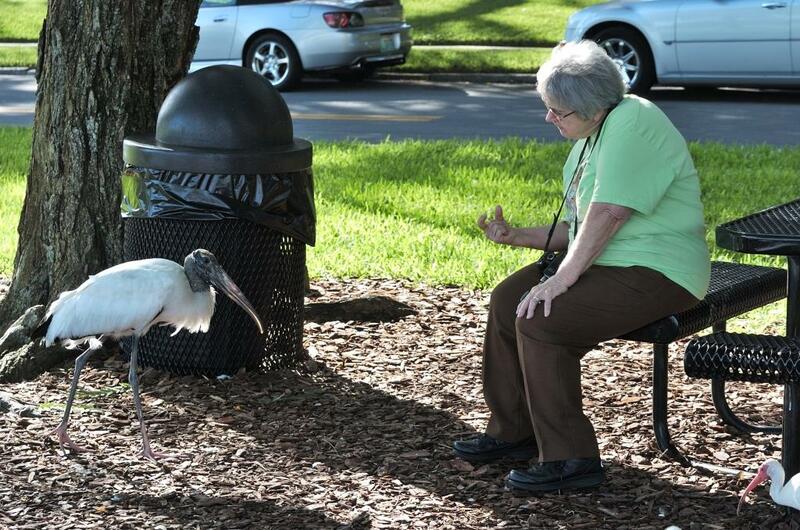 The Wood Stork met me at the curb. Of course when you have a treat for them, you become the “Pied Piper.” Apparently, someone must have recently fed them, because they were gathered loosely together. Once I got to the table and sat down, the group gathered around. I was enjoying them so much, I didn’t take many photos then. Once the food gave out, of which I didn’t have much to begin with, they moseyed off to rest in the shade until the next visitor with a bag of goodies came. 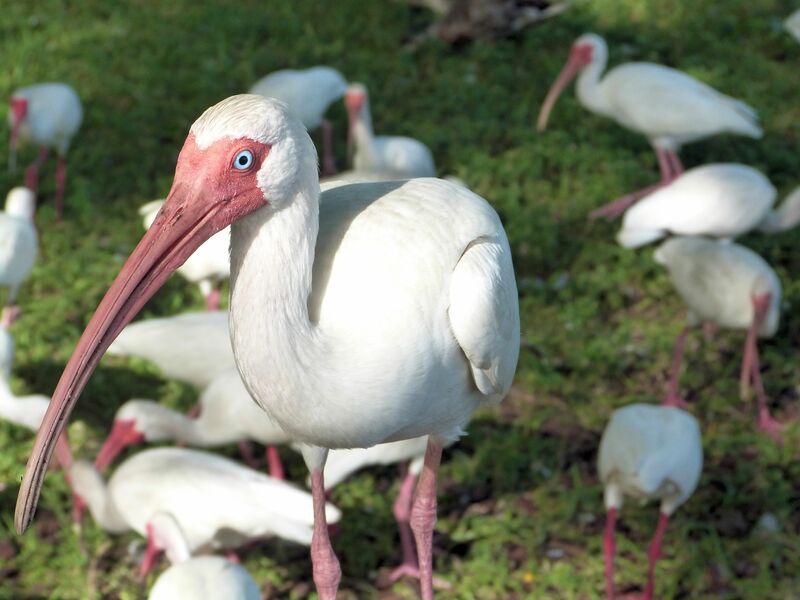 One White Ibis hopped upon the table behind me, but too late because the bag was empty. Took its photo, but it was almost too close. 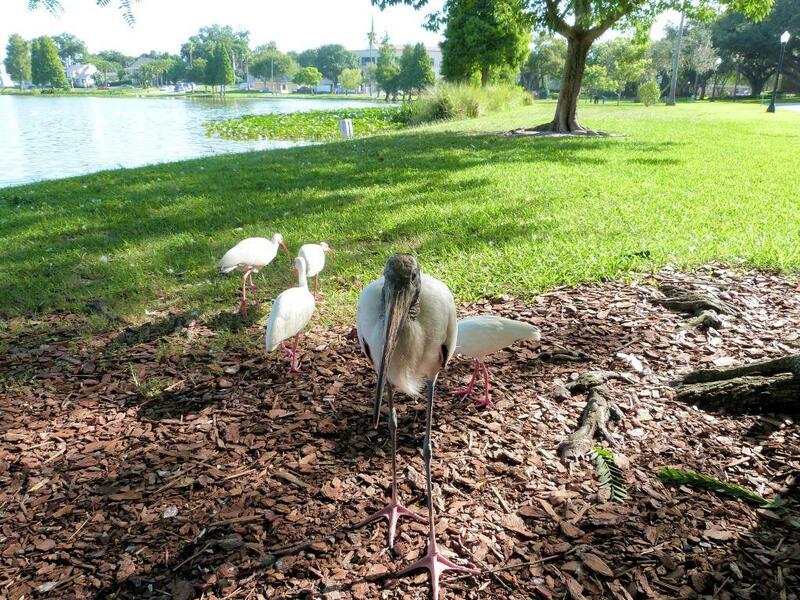 One of the resident Wood Storks walked up in front of me and stood there. I reassured him that I had nothing else, but he (or she) just stayed there. I started talking to it, motioned to come closer, and it did. 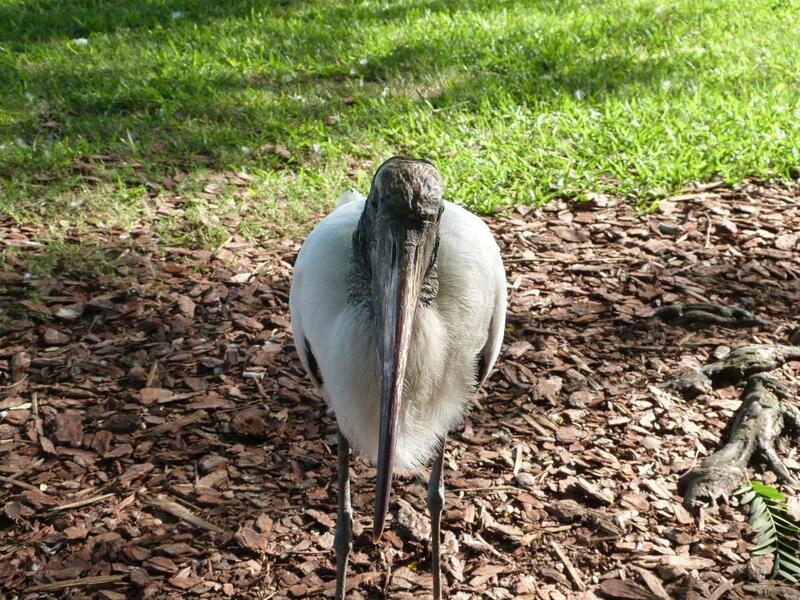 I could have reached out and touched the Wood Stork, but chose not to with that long beak. 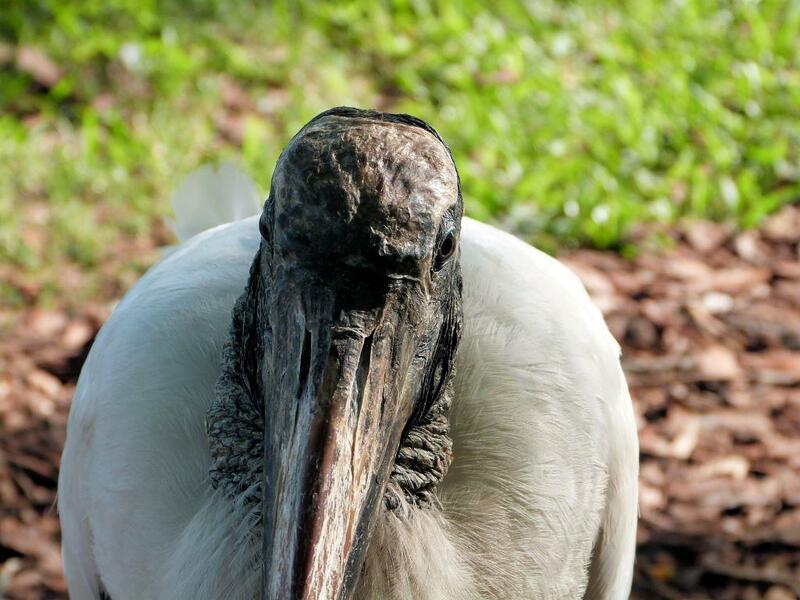 Have you ever heard a Wood Stork’s beak “snap” when it grabs food? It is loud. No, I like my fingers! We sat face to face for about 4 minutes of so; me talking and him just standing there looking at me. Even though they are “ugly,” they are really neat. 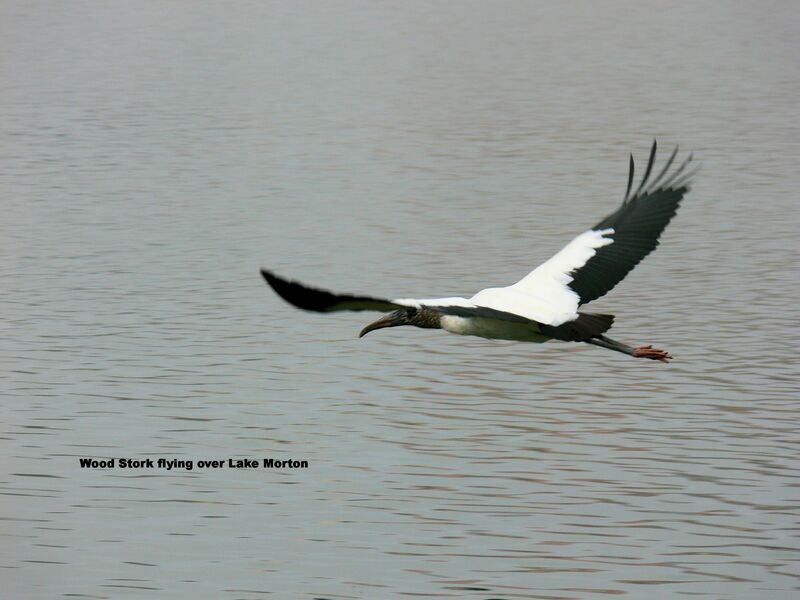 Have you ever seen a Wood Stork in the air? They are so beautiful and graceful, but up this close? I assured him that the Lord had created him and that He makes no mistakes. Wood Storks belong to the Ciconiidae – Storks Family and are also one of our Birds of the Bible. Oh, I almost forgot. 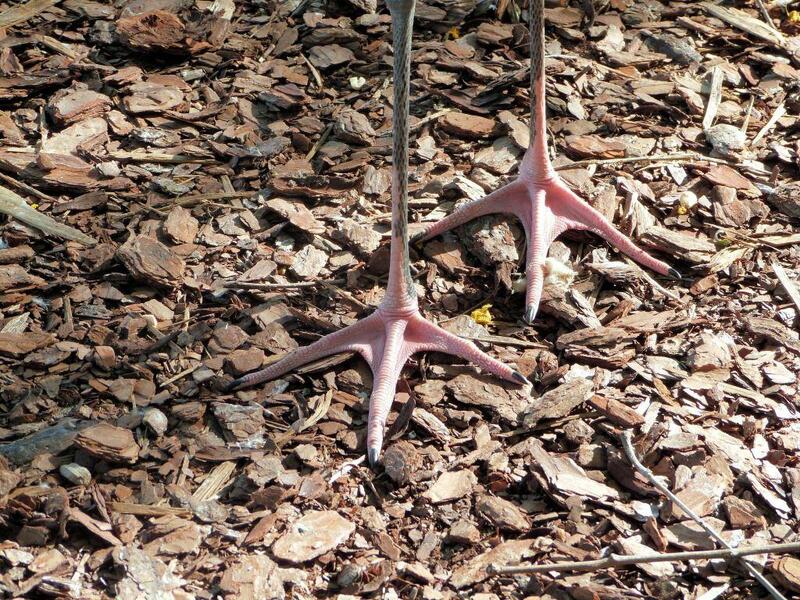 Since the Wood Stork was so close, I took a close up of its feet. 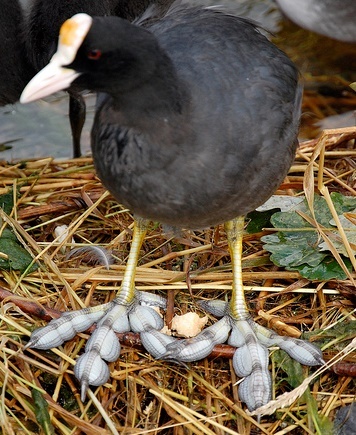 As you watch the birds, notice their feet. The Lord has given each of them very specific feet that our necessary for their needs. Does He not provide us with the needs that we have and help us walk with Him? 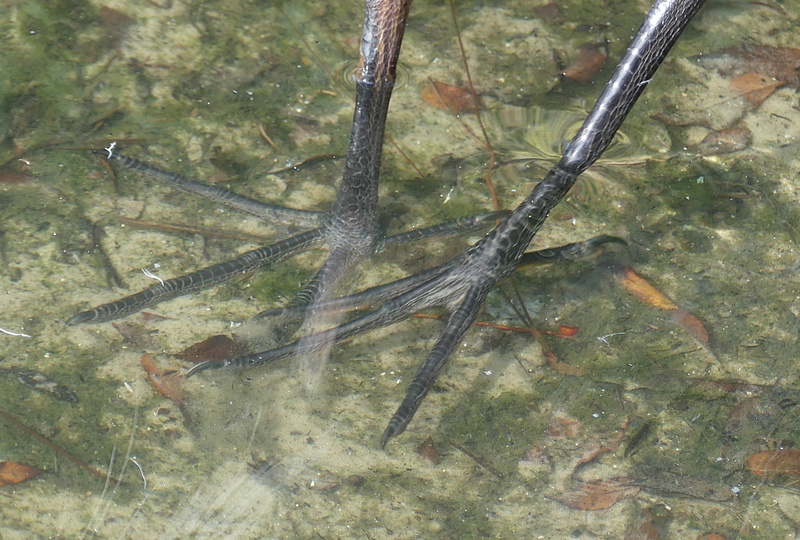 The foot shares the duties of locomotion with the wing. 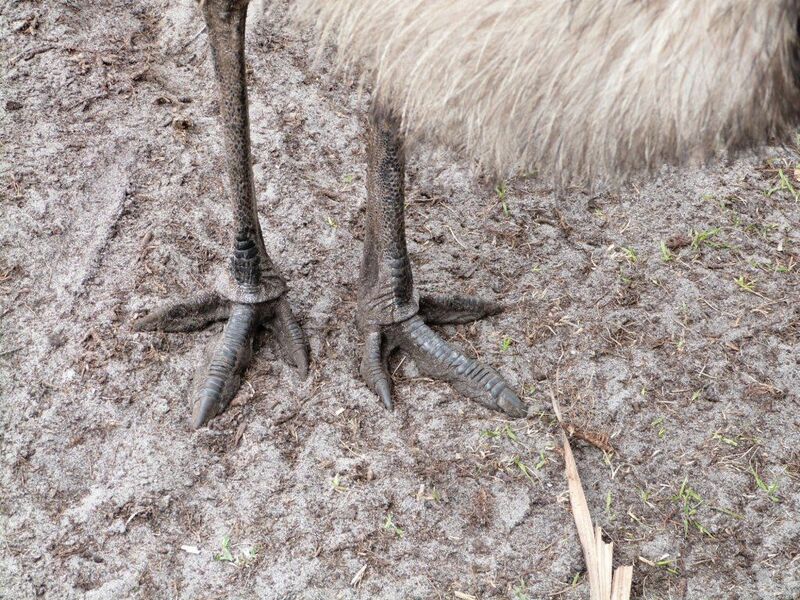 Birds with highly developed wings have poor feet. 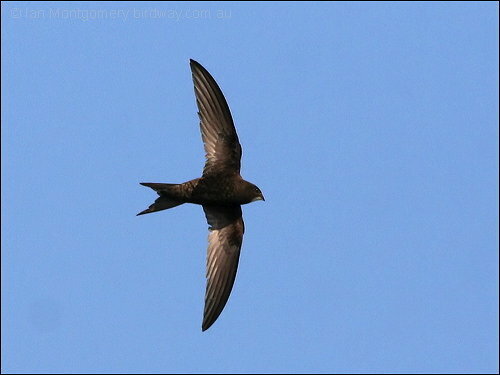 The swallow, an aerial bird, is an example. and if placed on a flat surface is unable even to support itself. 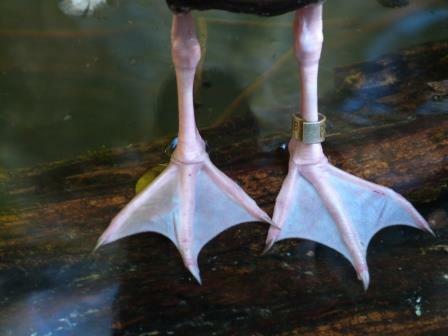 All aquatic and terrestrial birds have excellently developed feet. 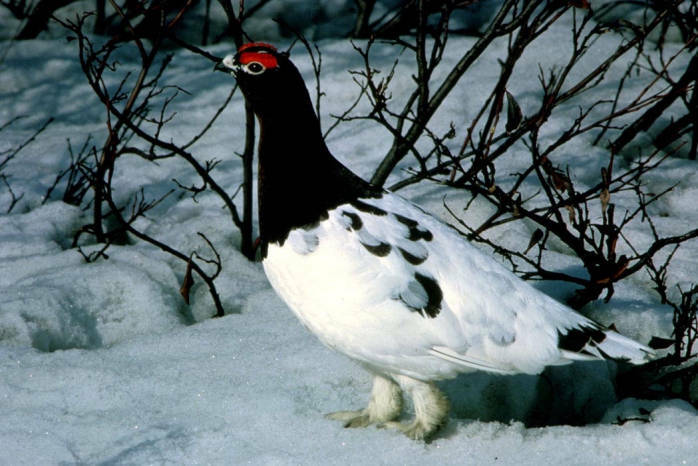 without the support of its breast and wings. perfectly at home in the water. 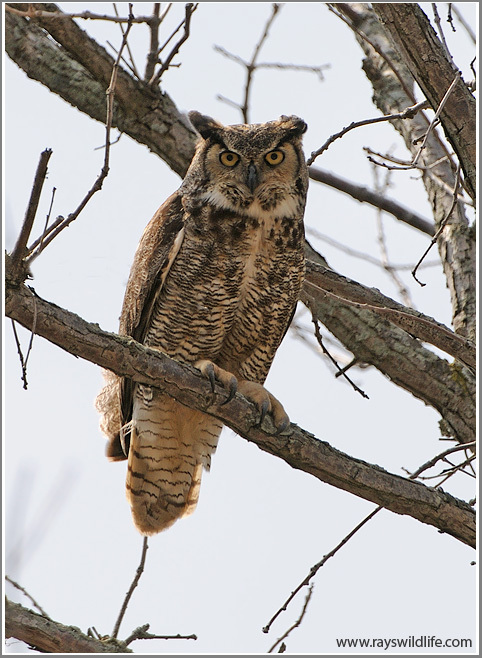 The foot is generally related to the length of the neck. In securing prey the foot also plays an important part. have enormous grasping power in their claws. to walk on the surface of the snow. This growth is shed in the spring…. They shall bear thee up in their hands, Lest thou dash thy foot against a stone. (Psalm91:12)..
does HE means to say that, our feet look beautiful only with sandals? What sort of sandals are we wearing? Do we have the sandal of preparation of the gospel of peace? without the sandal of preparation..
GOD has given us feet for a divine purpose..
Where are our feet planted? that can take the Gospel to the ends of the earth..